Ten years ago, fear struck the automotive community. The economy crashed, jobs and money were lost, and the car business came under heavy fire. A complete revamp of the car and the industry suddenly became priority. While I’ve absolutely over-simplified the 2008 financial crisis, cars have evolved at an unprecedented rate since. The advent of multiple forms of electrification has opened the door to countless possibilities, including the creation of some of the greatest supercars of all time. 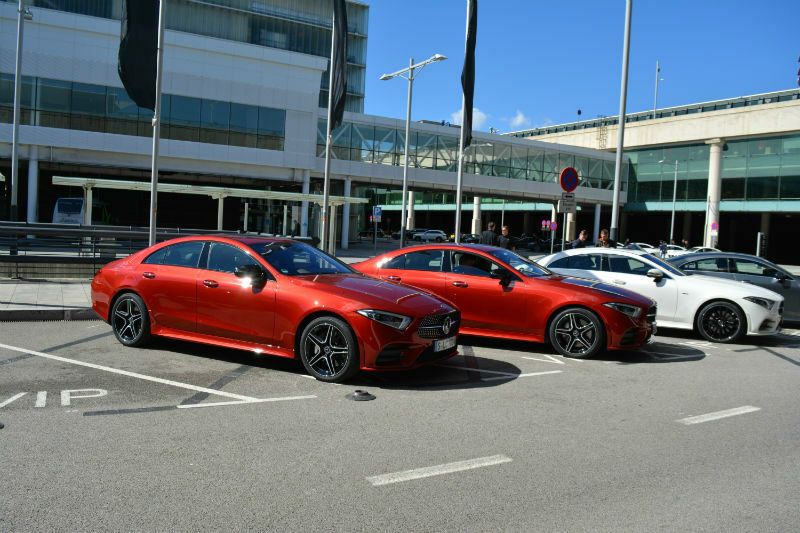 Their success and the advancements in electrification explain in part how and why large, powerful, luxury cars are so prevalent at the moment. The other is money, obviously. 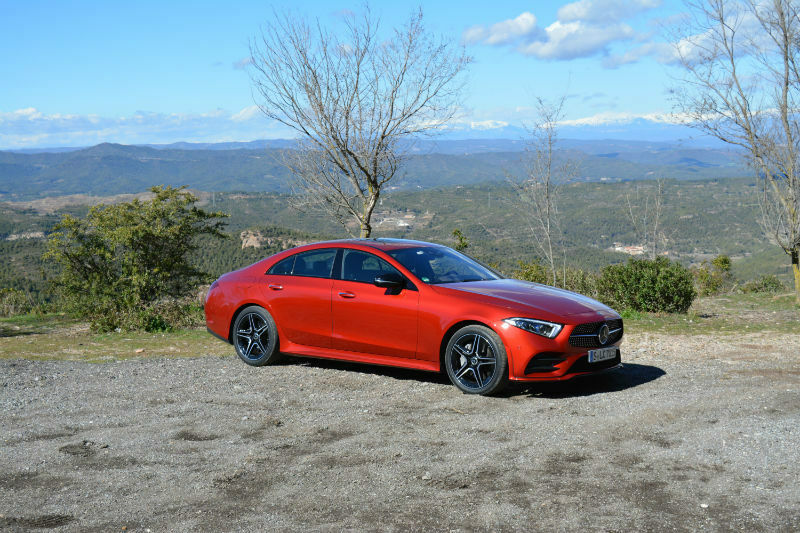 A typical modern luxury saloon pollutes and consumes less fuel than an equivalent automobile from 20 years ago and has two to three times more power. 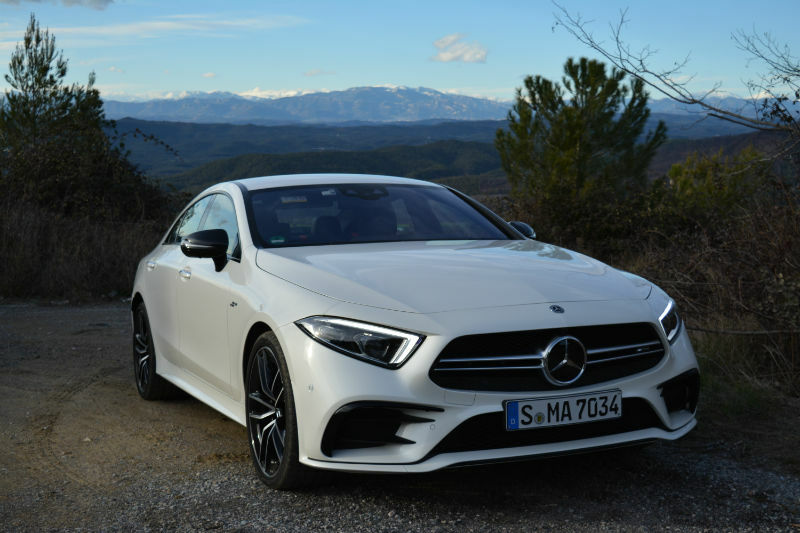 While the new 2019 Mercedes is not a typical luxury car, it perfectly embodies prestige, efficiency and smart technology. 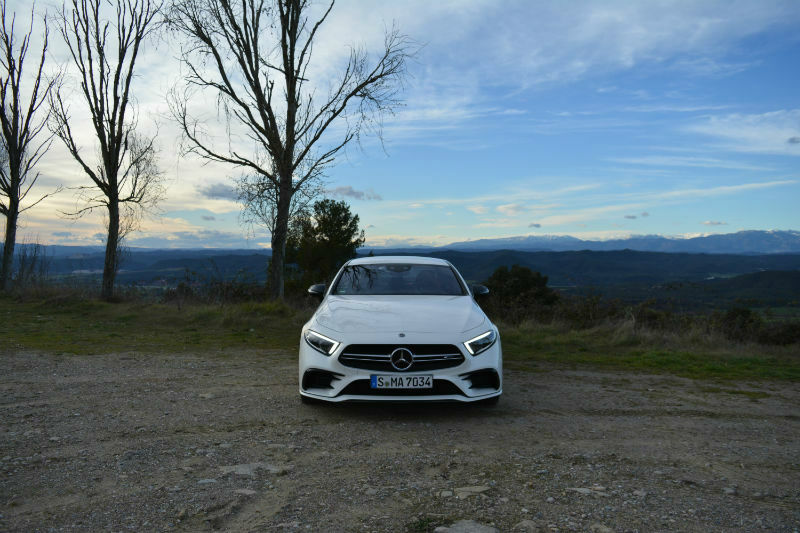 It also ushers in a new era of design and powertrains at Mercedes. 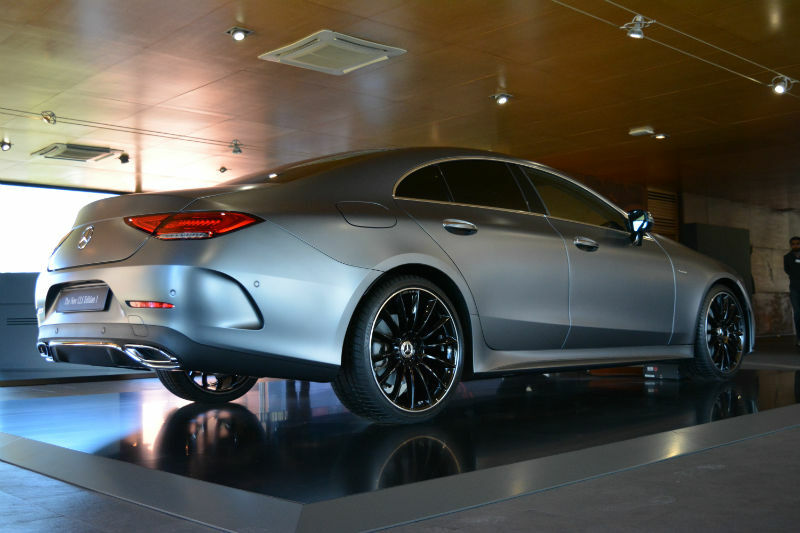 This is not only a pretty face, the CLS is a marker. 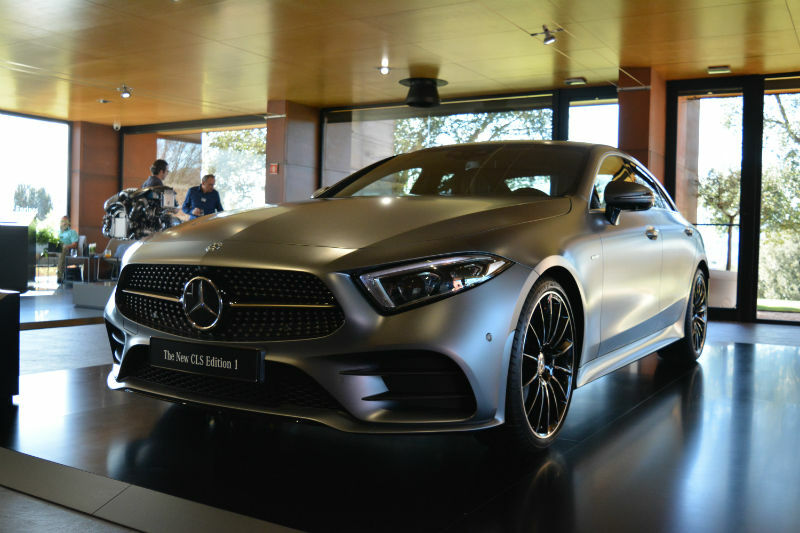 Among the numerous innovations brought forth with the new 2019 Mercedes Benz CLS is the introduction of their EQ Boost mild-hybrid technology. 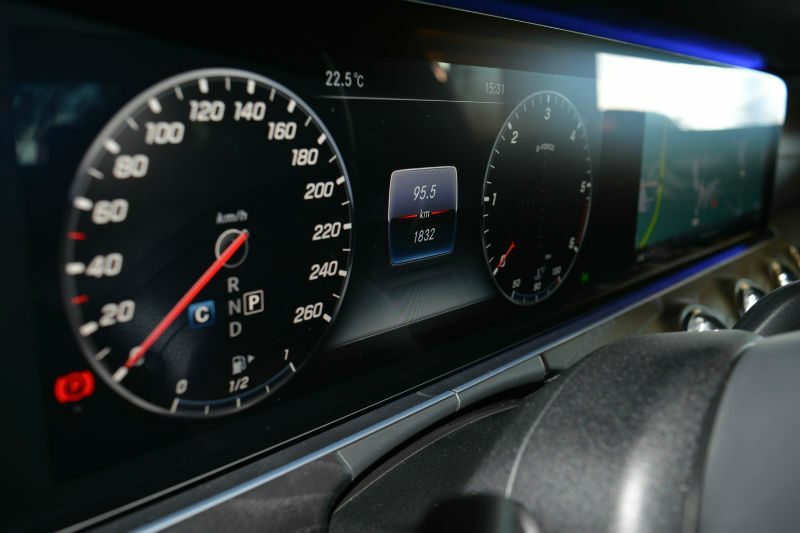 The number of advantages to this system puts plug-in hybrid technology to shame where real-life fuel-consumption numbers are concerned. The 48-volt integrated starter/generator eliminates the need for parasitic belt-driven accessories. It thus takes charge of the A/C compressor, and water pump, to name a few. 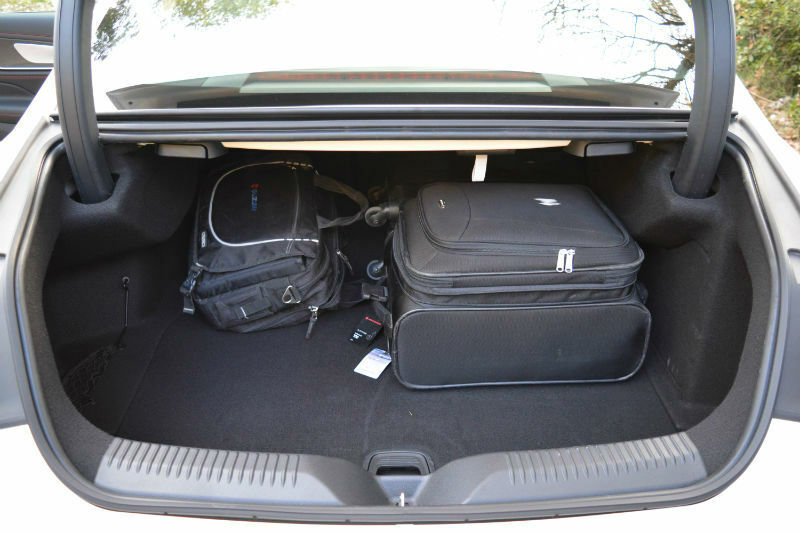 On top of doing away with the draw in power, it provides the car’s turbocharged engines with lag-free energetic boost. 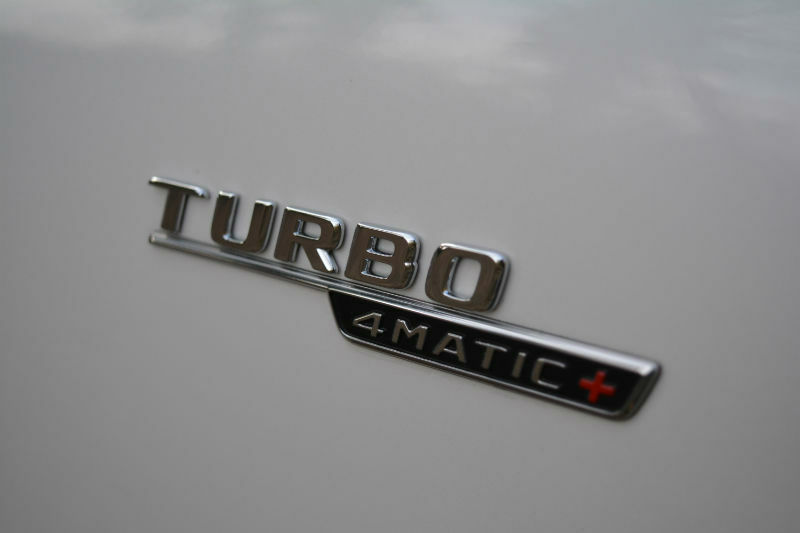 Its integrated electric auxiliary compressor revs to 70,000 rpm in 0.3 seconds priming the turbochargers. It also allows for “sailing” or coasting without engine power, handles engine start/stop functions and captures kinetic energy through regeneration. 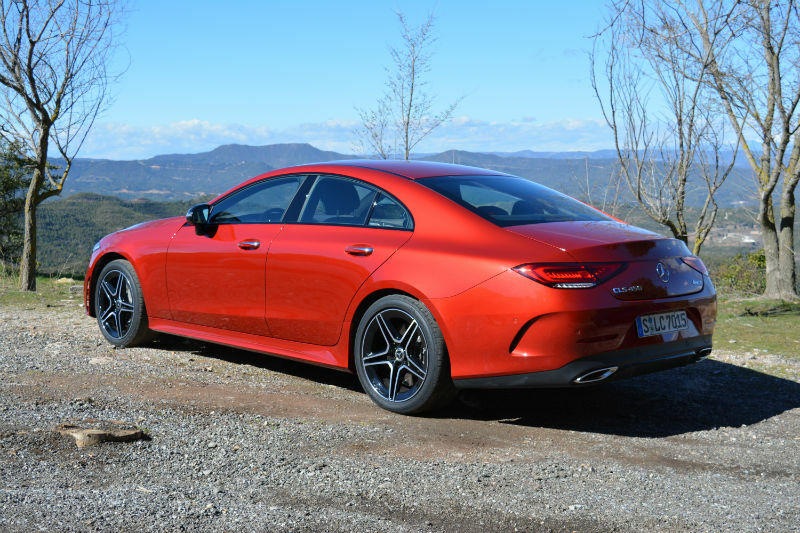 As well, it can temporarily boost output by a further 21-horsepower and 184 lb.-ft. of torque. 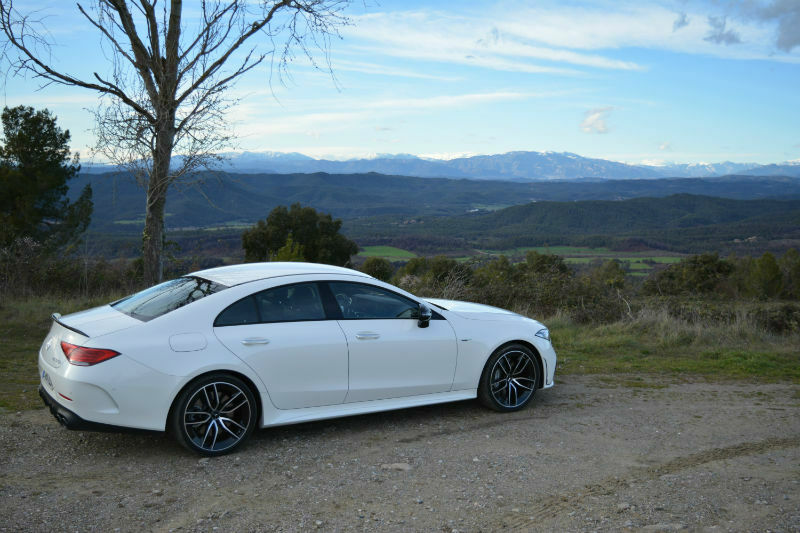 The final result is a marked improvement in fuel economy that may reach higher than 10%. 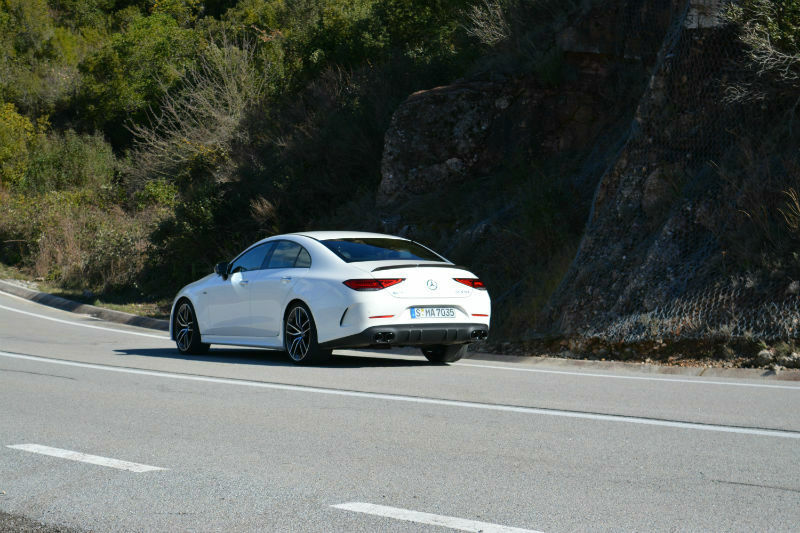 Officials number are not yet available but are expected to best the bi-turbo 3.0-litre V6 numbers currently offered in other Benzes. 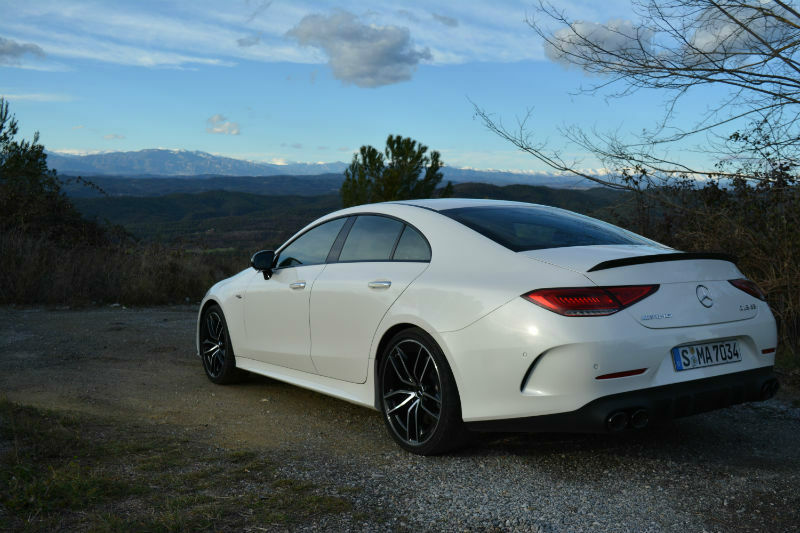 The new CLS introduces Canada to a new family of turbocharged 3.0-litre inline-6-cylinder gasoline engines. 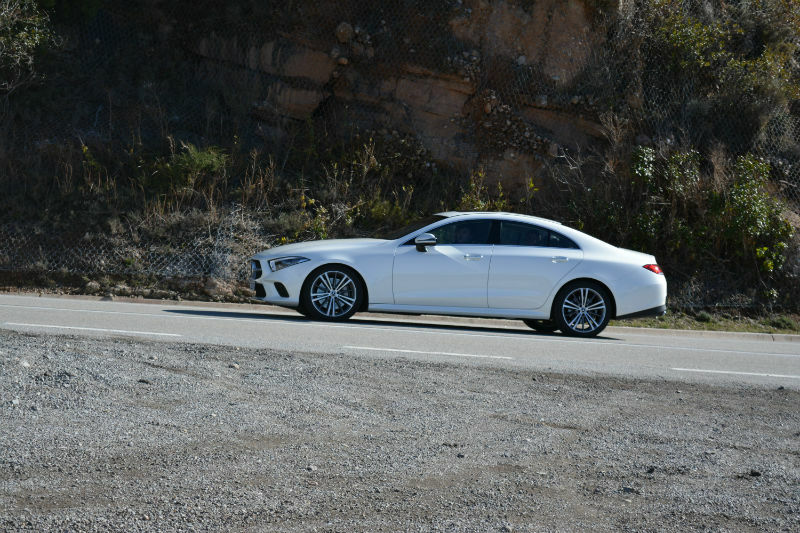 Both feature a 9-speed 9G automatic transmission and Mercedes’ latest 4MATIC AWD system. The base CLS 450’s charger is a twin-scroll single turbo and helps produce 362-horsepower and 369 lb.-ft. of torque. 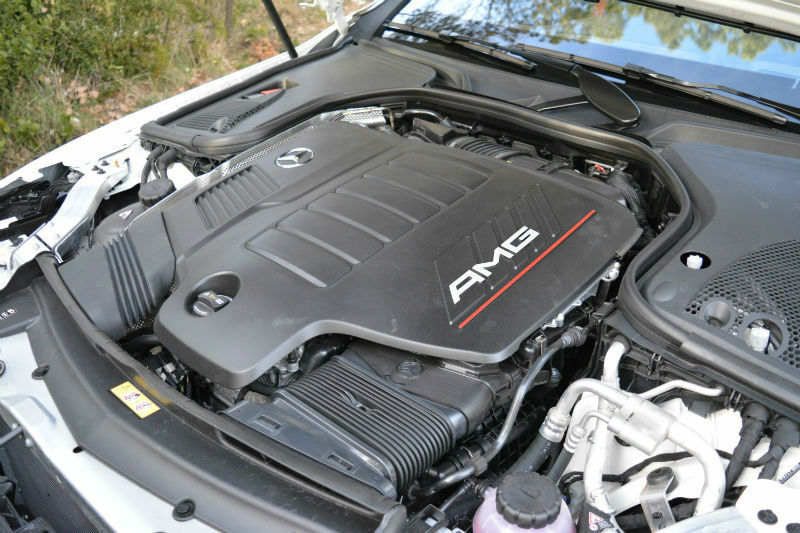 The AMG 53’s clever twin-turbochargers increase output to 429-horsepower and 384 lb.-ft. of torque. In either case, power delivery is smooth and uninterrupted. The 450 is quick but the 53 is noticeably punchier, and louder. 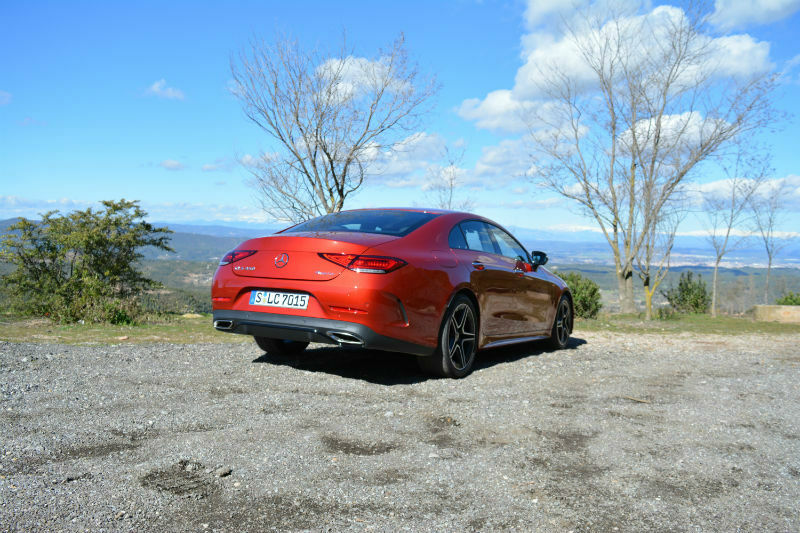 The 9G’s operation ranges from velvety to racy, and this just about sums up the car’s on-road behaviour. 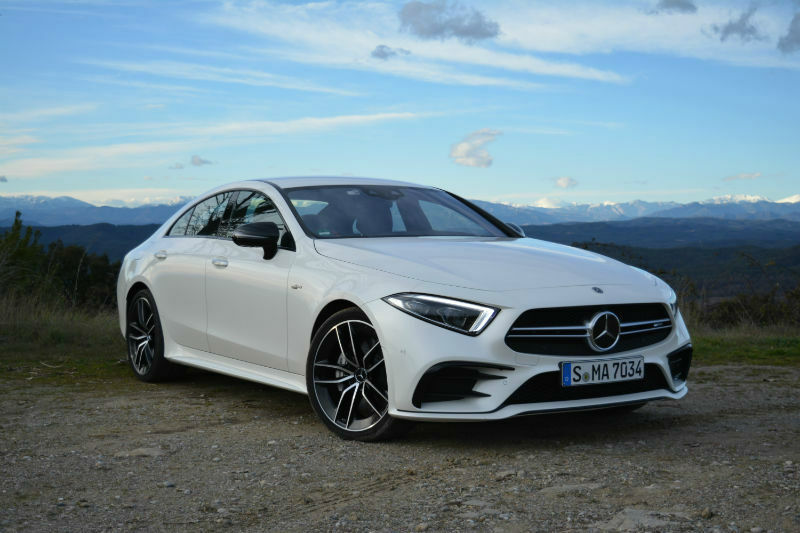 The 2019 Mercedes CLS includes standard adaptive dampers that can transform the car from plush luxury barge, much like an S-Class, and with a few minor changes with the DYNAMIC select drive modes, into a high-performance riveted and riveting sports sedan. 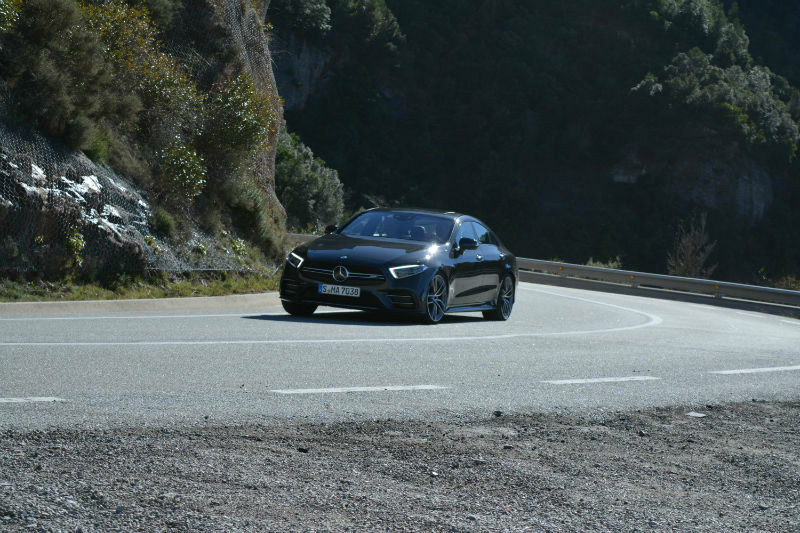 I did find the interaction between driver and steering wheel and brake pedal to disenchanting but the end result is that the new CLS remains a lovely car to drive. 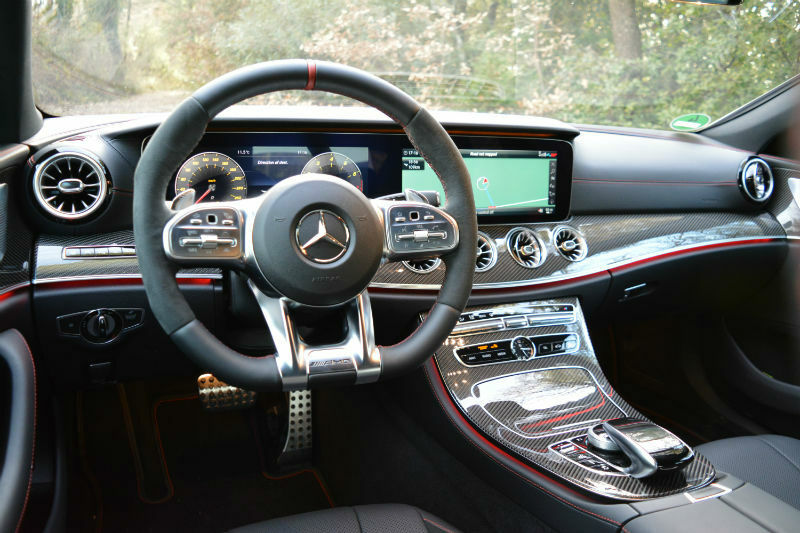 Designing a car can be just as complex creating any new type of technology. And like technologies, the results are sometimes good, other times not so good. 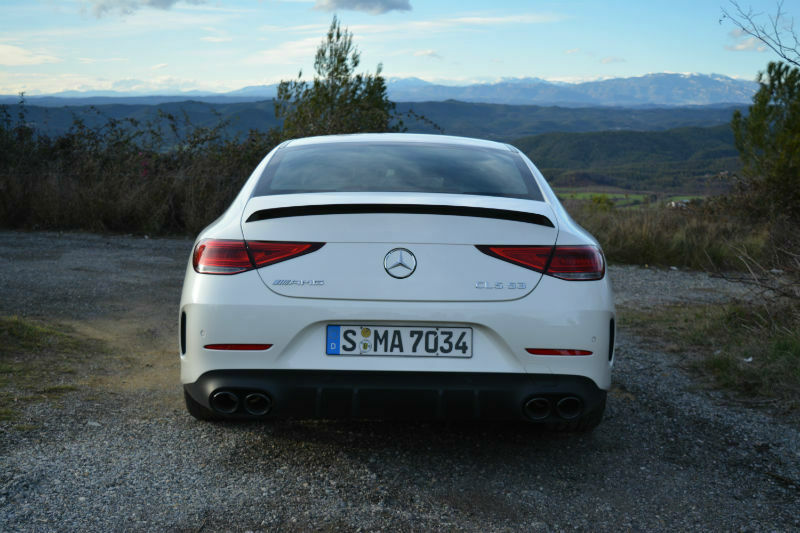 While the first generation CLS continues to be an attractive and beautiful car, the second iteration of the CLS aged quickly, and poorly. 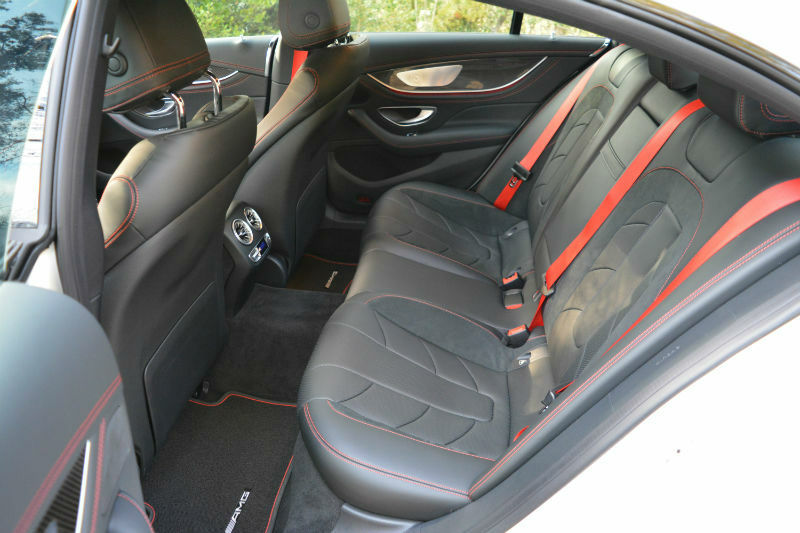 It is with that in mind that the new car was drawn up to be cleaner, simpler and far more elegant. There are no sharp lines on the new shell. 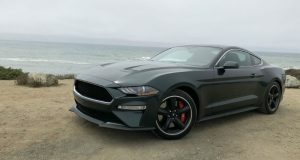 The exception being the front fascia that sport a distinguished and aggressive predator face, or shark-nose. 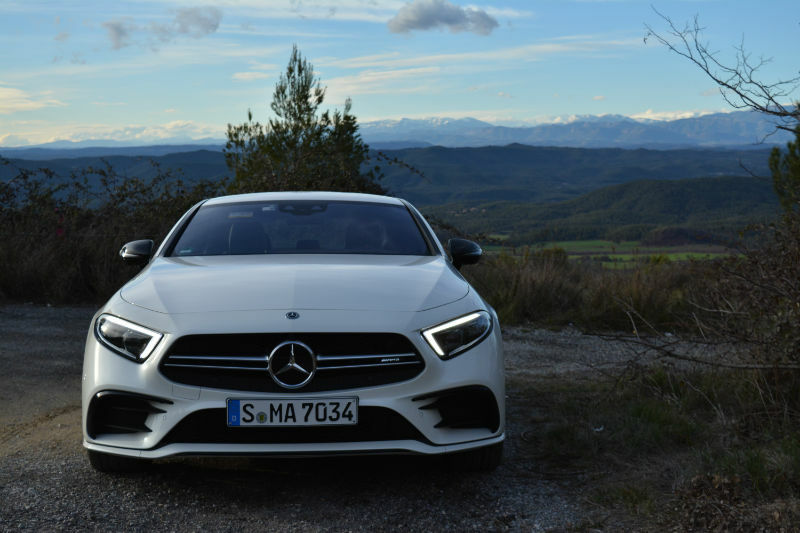 This new front graphic will return upon future Mercedes-Benz products and I’m willing to bet that unobstructed flowing body panels will as well. The cabin differs in the sense that it is charged with screens, controls, materials and other visual distractions. There is a clear attempt at combining technologies and unique design elements. The mammoth double 12.3” screens in the tested cars remind me of the twin screens I’m staring at right now as I write these words. Yes, they are huge and somewhat distracting at first. The theme is opulence with a little fun. The materials and craftsmanship are exceptional. 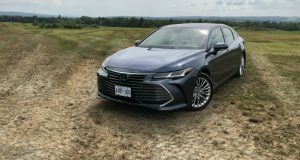 The reviewed 450 included the optional Drive-Dynamic multicontour seats that you may never want to leave; they embrace, hold and massage you as much or as little as you want. 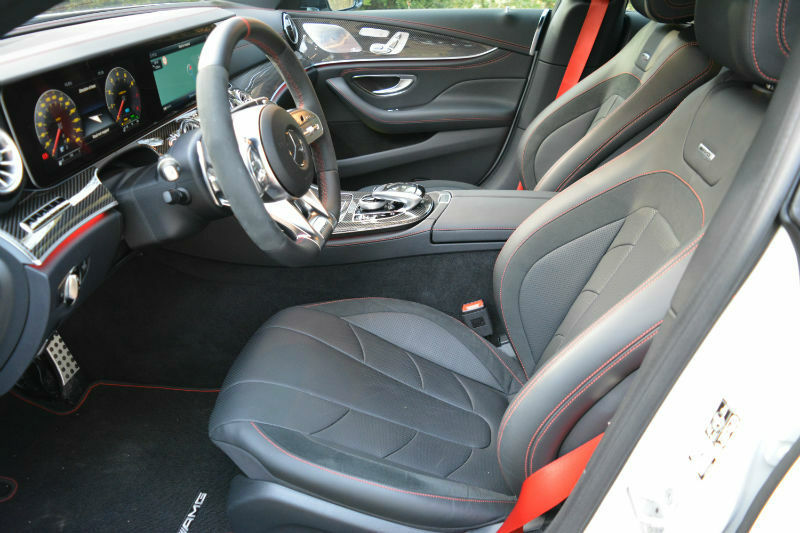 Fun, or entertainment, comes from the optional ENERGIZING Comfort Control which includes light-up vents that mimic set temperatures, red for warm, blue for cool. 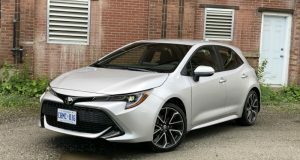 Standard features include Smartphone Integration package (Apple CarPlay and Google Android Auto), satellite radio and wireless phone charging. Then, there’s the optional Burmester systems (13-speaker 590 watts or 25-speaker and 1,450 watts). 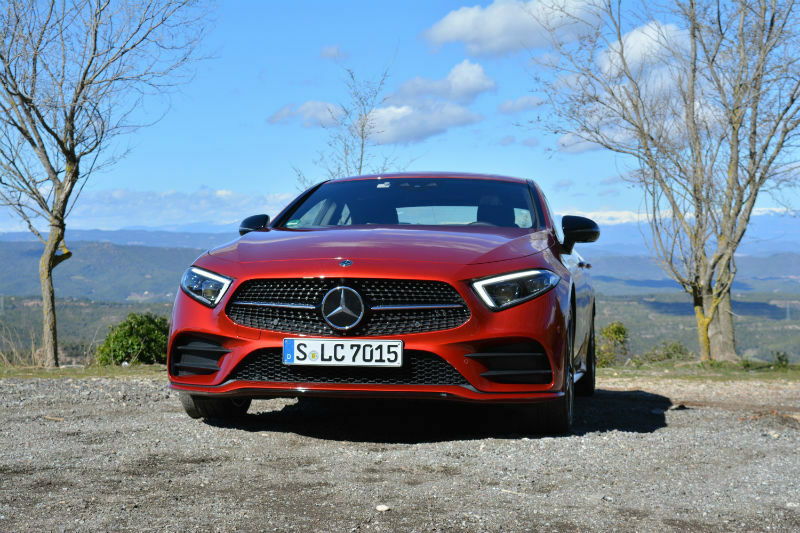 The new 2019 Mercedes-Benz CLS is a superb automobile that combines the best of all things automotive, from performance, to luxury and all of it without putting aside efficiency. We’ll have to wait for this upcoming Fall for the car to hit our roads. Pricing will be known beforehand.